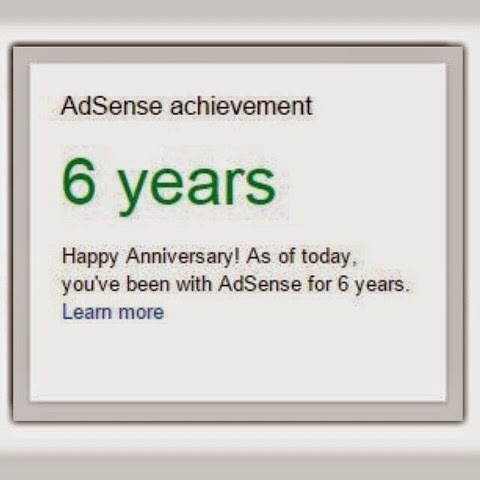 Home accomplishmeht achievement Adsense blogger blogging Google Google Adsense website Happy 6 Years with AdSense! Aside from my entertainment website TV Series Craze which is now celebrating its 6TH Year Anniversary, proud to say that I am also celebrating my 6 years with Google AdSense. AdSense is an elite ad network from Google which brings revenue on your websites. The same month and year when TV Series Craze was born, I also became one of the elite bloggers associate with AdSense. That was April 2009, the month and year were my blogs rose, started to become active, and bring home incomes for me!